Have you come to the place in your spiritual life that you can confidently say that you know for certain that you will eventually go to heaven? Suppose that you were to die tonight and find yourself standing before God, and He asked you why you think He should let you into Heaven? You might answer saying that you have lived a good life, attended church or synagog faithfully, gave to the poor and supported righteous causes, was a good parent, faithfully supported your spouse and children, obeyed the laws and tried to be a model citizen. All of those things are commendable however the scriptures indicate that there is a problem. God loves us but hates our shortcomings (sin), and is sworn to punish it. The scriptures point out that God is righteous and will punish sin which He will not tolerate. Sin is a word that simply refers to a shortfall from absolute perfection. Here it becomes evident that no matter how good we try to be that there is nothing we can do to offset even the slightest of life’s failures and that all of our good works are counted as nothing in the face of our sinful nature. It may appear that God may have a confusing dilemma, on one hand He is a loving God and yet He is sworn to punish us for our sins. However God knew from the beginning how helpless His human creation really is and He spoke of His plan of redemption through the prophet Isaiah. Who has believed what we have heard? And to whom has the arm of the Lord been revealed? For he grew up before him like a young plant, and like a root out of dry ground; he had no form or comeliness that we should look at him, and no beauty that we should desire him. He was despised and rejected by men; a man of sorrows,and acquainted with grief; and as one from whom men hide their faces he was despised, and we esteemed him not. Surely he has borne our griefs and carried our sorrows; yet we esteemed him stricken, smitten by God, and afflicted.But he was wounded for our transgressions he was bruised for our iniquities; upon him was the chastisement that made us whole, and with his stripes we are healed. All we like sheep have gone astray; we have turned every one to his own way; and the Lord has laid on him the iniquity of us all. He was oppressed, and he was afflicted, yet he opened not his mouth; like a lamb that is led to the slaughter, and like a sheep that before its shearers is dumb, so he opened not his mouth. By oppression and judgment he was taken away; and as for his generation, who considered that he was cut off out of the land of the living, stricken for the transgression of my people? We are told to repent, this requires some personal introspection and recognition of the fact that we are not perfect and have faults, and to come to God with a contrite heart and a desire to have a right relationship with Him. God has shown us what His criteria is for salvation, it has nothing to do with how nice a person we might be, or the fact that we might be religious and attend church or synagog regularly, it is a matter only of God’s grace richly bestowed on those who believe and have faith in His Son the Messiah, that what He did on the cross is sufficient covering for our sins. An excellent example of faith was played out in July of 1859 when Charles Blondin famously walked a 1300 foot tightrope across Niagara Falls while 25,000 people looked on. He asked if they thought he could accomplish such a daring feat, and they cried out “We believe you can do it Blondin!” Following that amazing feat he cried out, “Do you think I can do it with a man on my back?” They said “Yes we believe you can do it too!” He then said, “Who will get on my back then?” Finally his manager Harry Colcord volunteered and with Harry clinging to his back Blondin gave his manager the following instructions: “Look up, Harry you are no longer Colcord, you are Blondin. Until I clear this place be a part of me, mind, body, and soul. If I sway, sway with me. Do not attempt to do any balancing yourself. If you do we will both go to our death.” Faith then is more than just a mental acceptance, it is an absolute trust that requires a response followed by action. 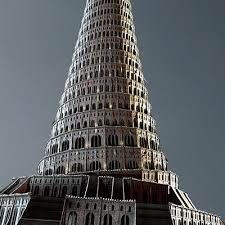 What is the shared significance of the ancient ziggurat known as the Tower of Babel and later the Babylonian Empire and most recently the World Trade Center? Modern scholars have associated the Tower of Babel with known structures, notably a ziggurat dedicated to the Mesopotamian god Marduk by Nabopolassar, the king of Babylonia circa 610 BCE, the Great Ziggurat of Babylon. The city of Babylon was situated on the banks of the Euphrates River, the remains of the oldest city are below groundwater level. From written sources, however, we know that the city became important after the fall of the empire of the Third dynasty of Ur, when the Amorites had invaded the area.The Greek word Babylon is a rendering of Babillu, a very old word in an unknown language. When Mesopotamia was infiltrated by Akkadians and Amorites who spoke a Semitic language, they recognized their own words Bâb ("gate") and ili ("gods") and concluded that this place was "the gate of the gods". King Nebuchadnezzar the son of Nabopolassar ruled from 605 to 562 and is credited with rebuilding his capital as the most splendid city in the Mid-East. It was during his reign that he magnified himself before God and as a result was rendered temporarily insane for a period. 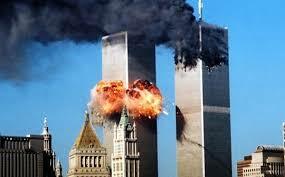 The twin towers of downtown Manhattan’s World Trade Center were a triumph of human imagination and will. Completed in 1973, the towers stood at 110 stories each, accommodating 50,000 workers and 200,000 daily visitors in 10 million square feet of space. They were the hub of the bustling Financial District, a top tourist attraction and a symbol of New York City’s–and America’s–steadfast devotion to progress and the future. Clearly there is much pride and hubris evident in the preceding comments! On September 11, 2001, the World Trade Center became the target of a massive terrorist attack that took the lives of nearly 3,000 people. The disaster also radically altered the skyline of New York City, destroying the twin columns of glass and steel that over the years had come to embody the city itself. The impact of the two planes that hit the World Trade Center towers on September 11, 2001, was more devastating than any of the building’s designers and engineers had ever imagined. The World Trade Center represented all the nations of world working together and speaking in one unified tongue, controlling the world markets under the flag of a nation having great aspirations, that reach even above the stars. The destruction of the Wold Trade Center was only the beginning of a coming event spoken of in (Revelation Ch.17 & 18) the fall of Babylon the Great! We should read those chapters in light of what we understand so far with an open mind, asking God to reveal His will for each of us, asking Christ to be our Lord and Savior. Consider that God’s foreshadowing of events is His way of piquing man’s curiosity in order to get him to search for God in all earnestness and find the true reason for that which He has in store for us. (Ecclesiastes 1:9 -10) What has been is what will be, and what has been done is what will be done; and there is nothing new under the sun. Is there a thing of which it is said, “See, this is new?” It has been already, in the ages before us. Babel and Babylon in Ur of Chaldea, were just a foreshadowing of a much greater future event, just as the sacrificial offerings of sheep and goats were a foreshadowing of the death and resurrection of Christ for the sins of mankind. The second part of the answer to the original question is found in God’s condemnation of Lucifer for his pride and wanton disobedience. His is the same spirit that drives men to seemingly great endeavors that always results in pridefulness, hubris and arrogance in the face of God which He hates. I will set my throne on high; I will sit on the mount of assembly in the far north; I will ascend above the heights of the clouds, I will make myself like the Most High.’ But you are brought down to Sheol, to the depths of the Pit.